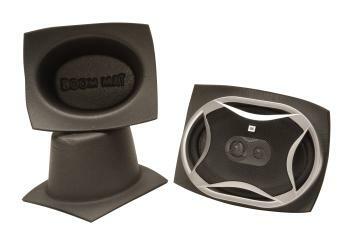 DEI Boom Mat Speaker Baffles UNIVERSAL - Pann Auto Performance - San Diego largest aftermarket automotive performance parts - What do you drive? Boom Mat Speaker Baffles are made from hightech closed-cell polyethylene foam which encases the speaker to seal out dirt and moisture while providing a protective shell. They also maximize speaker performance by isolating the correct frequency responses while damping reverberation in the sheet metal and panel-to-frame resonance.